Are you a sixth form student living in Luton? 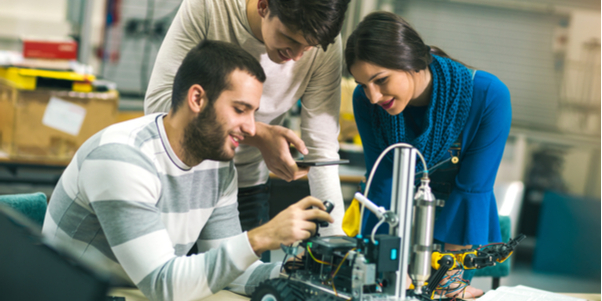 Here’s your chance to apply for an engineering bursary of £5,000 to help you during your University studies. The bursary is open to anyone intending to study engineering at University and currently residing with a Luton postcode. The bursary isn’t dependent on grades or academic ability; it is simply judged on passion. The bursary requires applicants to write an essay entitled ‘Why I wish to become an engineer’, which the judges believe will help them identify raw talent and passion. Davide Sheridan of Veruth Holdings backs the bursary and is a firm member of the judging panel. “Passion is the key to a strong engineer”, believes David. The programme awards the chosen applicant with a bursary of £5,000 per year for each year of university. The deadline for essay submissions is 24th April 2019 and the winner will be announced in May. The education bursary has, coincidentally, been awarded to 4 females and 5 males over the course of its 9-year reign, by no design other than the fact they were able to demonstrate that it is in their blood to become an engineer. We also hope that this is revolutionising the way young women view engineering as a career and will encourage more females to enter.